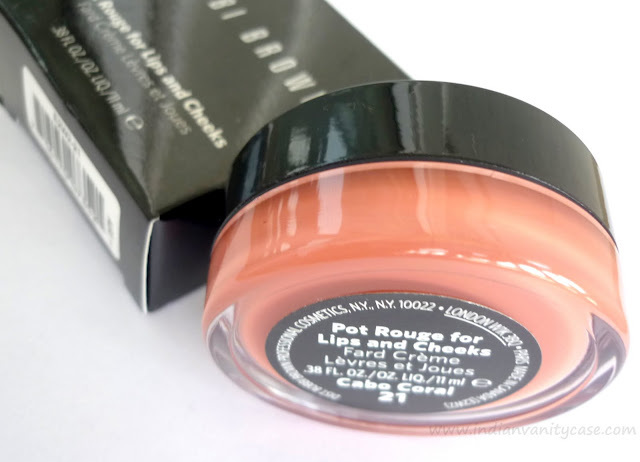 This cream-based formula is great on both lips and cheeks for a sheer, stained finish. Available in a wide array of color choices for a variety of skin tones. For All Skin Types. Creamy and easy to blend - pat on lips and cheeks for a pop of color. Cabo Coral is described as "Pink Nectar", but I see no pink in it, do you? There is a hint of pink when you look at it closely, but it definitely leans more towards peach. You know I like me some lip & cheek balms, and this is a much-needed addition, because the color is bright & pretty. ♥ It's not too soft for a cream blush & lip color. It feels like a lip balm stick. ♥ It's not overly creamy & not at all sticky. ♥ It's really pigmented. It's easy to overdo with this one. ♥ It adheres to cheeks really well & stays put all day. ♥ It feels like a lipstick on my lips and is quite moisturizing, but it looks like a stain after a while. ♥ The color is gorgeous on cheeks as well as lips. ♥ I love the packaging. Some may worry about bacteria and all, but I wouldn't want it any other way. Imagine Pot Rouge in a pump bottle- nah. - It balmy feel doesn't go away, meaning: it doesn't dry to a matte finish. Those with oily skin may have to dust some loose powder on top of it or apply it before powder. But if you want the dewy look, this is perfect. 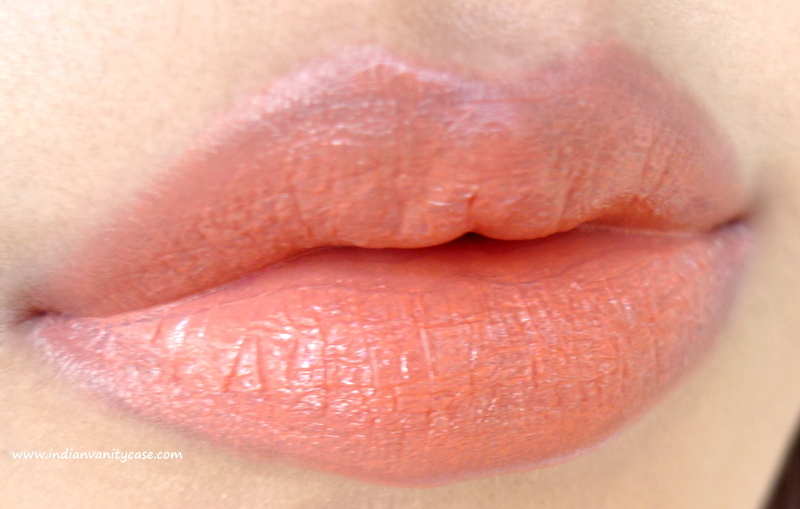 Cabo Coral on lips. Applied heavily. 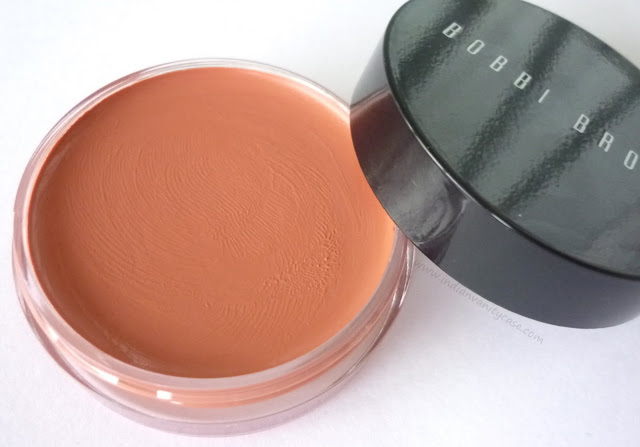 Bobbi Brown Pot Rouge is a really unique product. 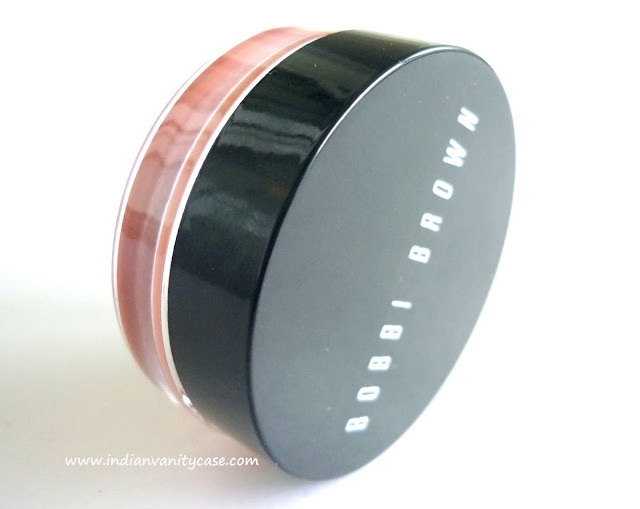 I highly recommend it if you are a cream blush fiend- especially Cabo Coral, coz I think it'll suit every skin tone. is it available here? in delhi i mean? 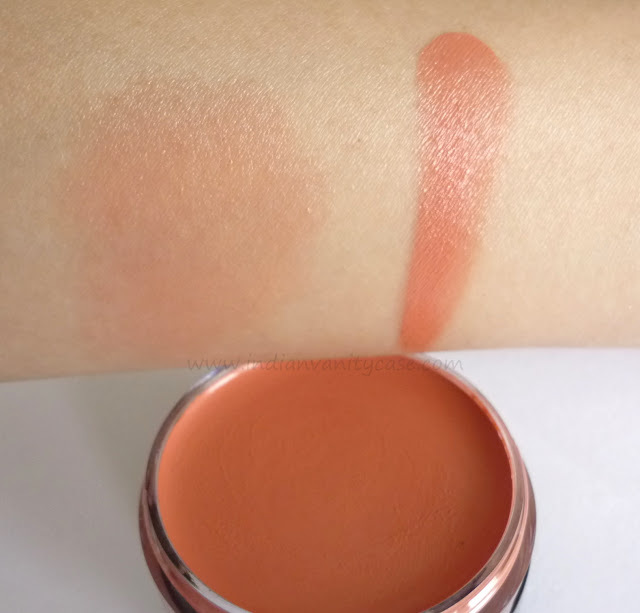 This is such a pretty shade and it looks so nice and creamy! Oww.. so pretty! I like the color~! Tanvee- No, it's not available here. Fifi- I think it'll suit you. Rashmi- Thanks. Thanks always the problem nah-availability. 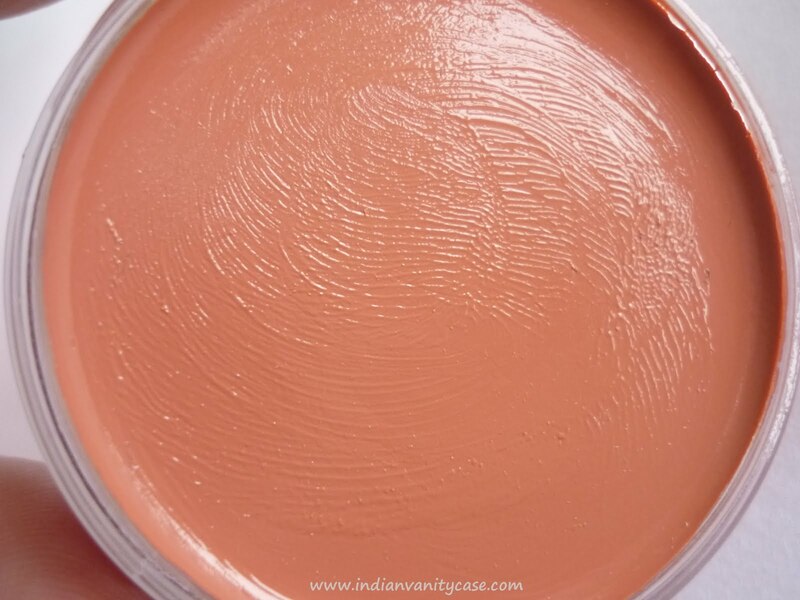 great review ... i am loving the peachy shade it has ..
Wow this is a realy pretty shade! My skin tends to be really oily, so i'd probably only use this on lips. Looks fab on ur lips..d color sure is super nicee..
really suiting your skin tone! Gorgeous color! Bobbi Brown has amazing products. I have this shade and I love it! You just reminded me that I want to get more shades! Oooh, I love the coral shade. It's so pretty! Pity about the persistent balminess. Looks lovely...I think my mom would love this as a birthday gift...apricot's and orange toned colors suite her well!